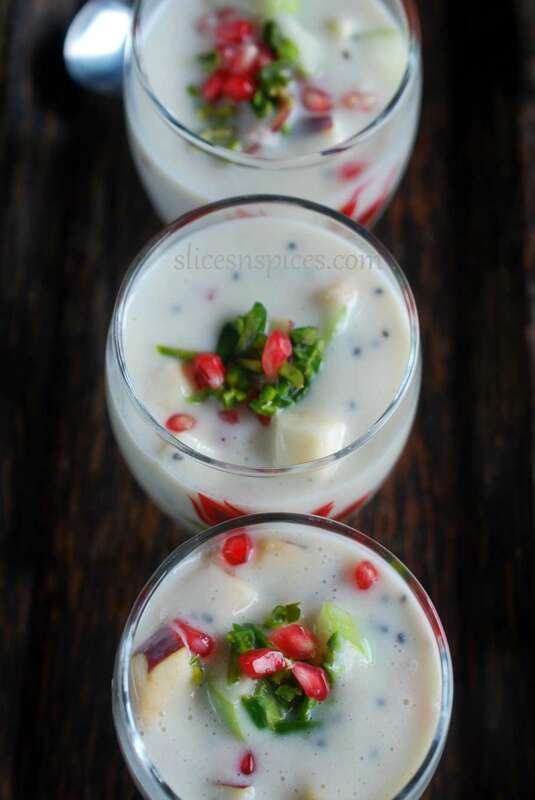 Festivals are Indians’ way of eating some more desserts. Into the 5th day of our 30 days 30 salads recipe event and keeping the essence of healthy eating intact, lets explore the world of sugarfree flourfree desserts. A previous post for fruit custard using oats and mango puree is a regular feature at my place till the fag end of mango season. 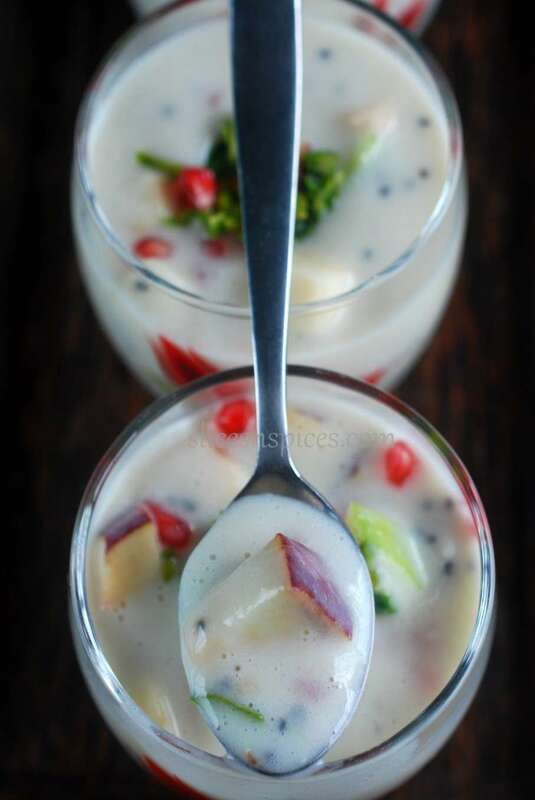 Since , today is Ganesh Chaturthi, I re-did the healthier version of fruit custard using the fruits which are most commonly offered to Lord Ganesha. 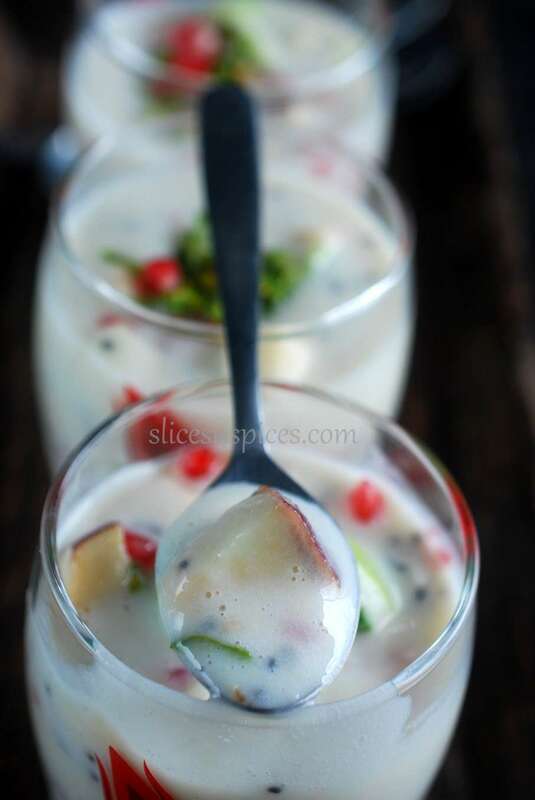 This completely flourfree sugarfree eggfree fruit custard has the custard sauce made from custard apple puree. Absolutely no sugar added and the thickness of the custard sauce is completely fruit pulp. 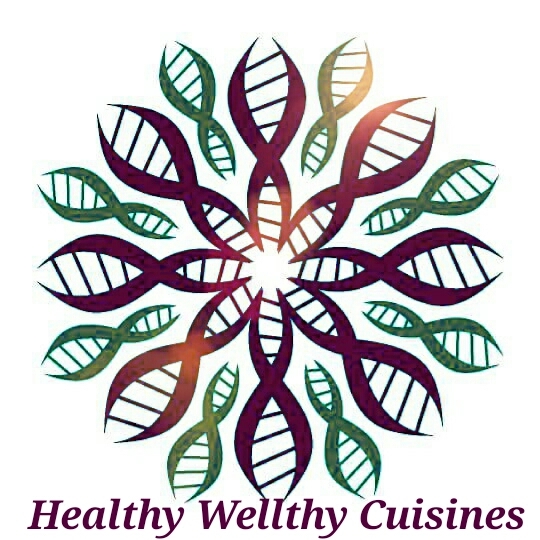 Sweet basil seeds ( sabja; optional ) – 2 to 3 teaspoons, soaked in water. Deseed and seperate the flesh of custard apples. You can do this by just whipping once in blender, most of the seeds get seperated. Add milk, extract and honey (if using) and blend well. 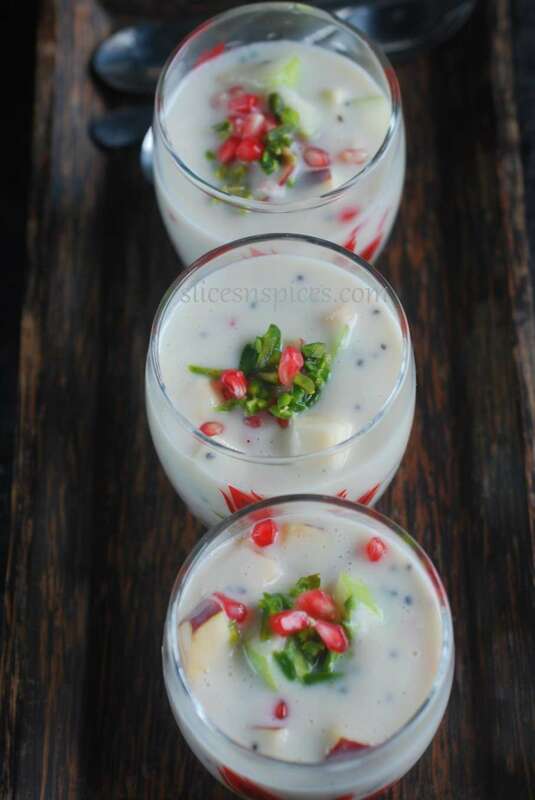 Transfer the custard apple puree to a container, add soaked and drained sweet basil seeds. Add all the other cut fruits, mix well. Serve chilled garnished with some nuts. Wishing all my readers, friends and family a very Happy Ganesh Chaturthi ! !